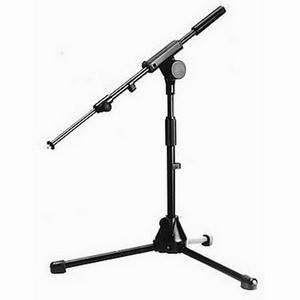 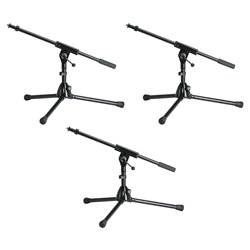 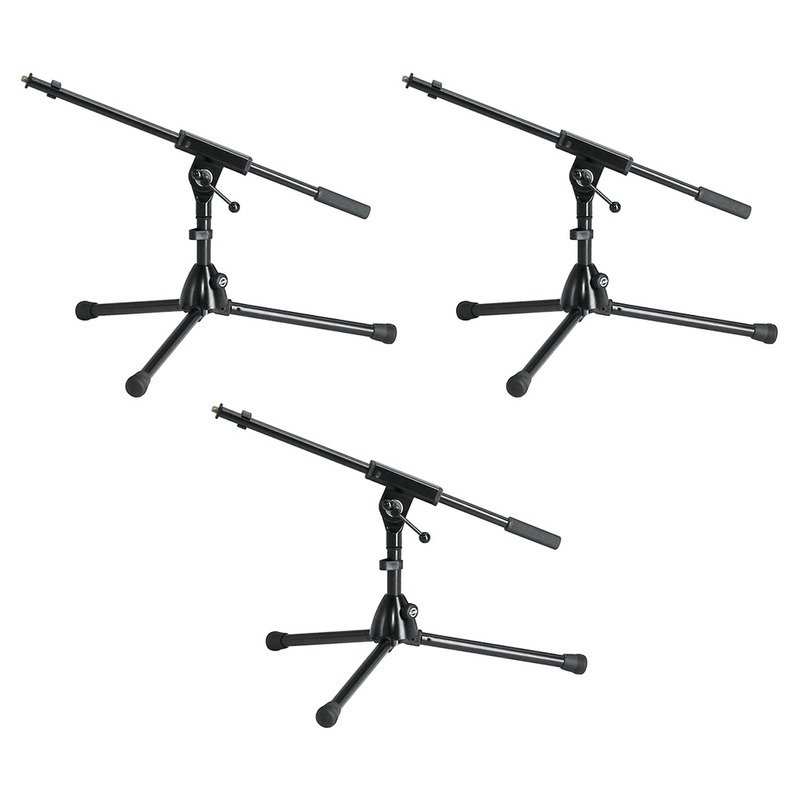 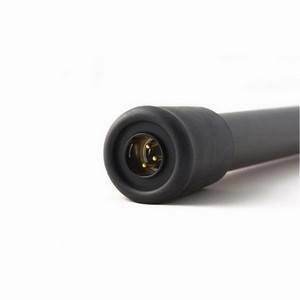 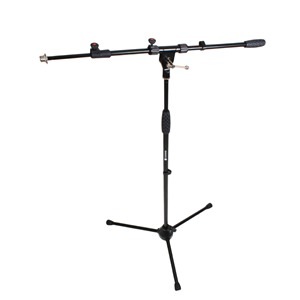 Microphone stands with extra low design for bass drums or special use. 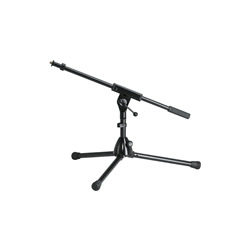 Die-cast base with folding legs. 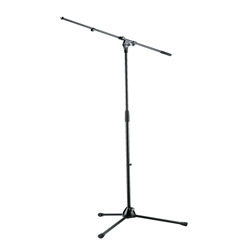 Comes complete with boom arm.